Clinical guidelines provide similar recommendations for the management of new neck pain and low back pain (LBP) but it is unclear if general practitioner’s (GP) care is similar. While GP’s management of LBP is well documented, little is known about GP’s management of neck pain. We aimed to describe GP’s management of new neck pain and compare this to GP’s management of new LBP in Australia between April 2000 and March 2010. All GP–patient encounters for a new (i.e. first visit to any medical practitioner) neck pain or LBP problem were compared in terms of treatment delivered, referral patterns and requests for laboratory and imaging investigations. General practitioners in Australia have managed new neck pain and LBP problems at a rate of 3.1 and 5.8 per 1,000 GP–patient encounters, respectively. GP’s primarily utilised medications, in particular non-steroidal anti-inflammatory drugs, to manage new neck and LBP problems and referred approximately 25% of all patients for imaging. Patients with new neck pain are more frequently managed using physical treatments and were referred more often to allied health professionals and specialists. In comparison, patients with new LBP were managed more frequently with medication, advice, provision of a sickness certificate and ordering of pathology tests. 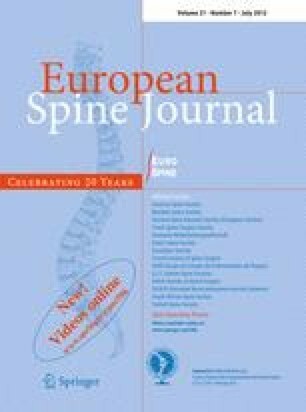 This is the first time GP management of a new episode of neck pain has been documented using a nationally representative sample and it is also the first time that the management of back and neck pain has been compared. Despite guidelines endorsing a similar approach for the management of new neck pain and LBP, in actual clinical practice Australian GPs manage these two conditions differently. The online version of this article (doi: 10.1007/s00586-011-2135-5) contains supplementary material, which is available to authorized users. None of the authors involved in the preparation of this manuscript have any potential, perceived or real conflict to disclose.